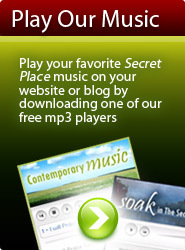 Click on the links for instructions on how to play mp3s, burn to CD, or load to your iPod / mp3 player. If you are having trouble at any time, please refer to our downloading help file, or contact us for assistance. Your Free Downloads are Below. Refer to Download Instructions on the Right. Click here to download 43 songs for a donation of any amount! Receive a free song download every month delivered direct to your inbox. More Info. Click subscribe then "OK". Sign up to Musical Manna - our free podcast and newsletter delivered direct to your inbox. Subscribe to Musical Manna by entering your email in the box and clicking "subscribe". When you join Musical Manna you will receive an email with ministry updates, articles of encouragement, and a FREE song download every month. "Wonderful music... the order and download process was easy and flawless."